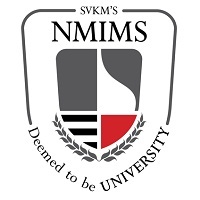 The NMIMS has updated the syllabus of NPAT 2019 for Non-Engineering, Engineering and Design programme. The Non-Engineering paper of NPAT has 3 sections viz, Proficiency in the English Language, Quantitative and Numerical Ability and Reasoning & General Intelligence. TheEngineering paper of NPAT 2019 consists of 5 sections, both technical and general topics. They are Mathematics, Physics, Chemistry, Logical Intelligence and Proficiency in Language. The NPAT 2019 Design paper has 3 sections viz. Numerical and Quantitative ability: The candidates will be tested on their analytical and numerical skills. Proficiency in the English Language: The third section will consist of questions related to the English language which will test a candidate's grammatical and linguistic skills. Recognising grammatical structure and usage. Reasoning and General awareness: This section will comprise of questions to analyse candidate's power of reasoning and general knowledge. General awareness of environmental factors such as climate, population, water, vegetation, pollution, weather, natural resources etc., and the implications on the design of products, images, infrastructure and environment. Awareness of social and cultural connection with the design, history of the designed artefact, and socially responsible and environmentally sustainable design responses. Visual culture - Culture expressed in visual images. Renowned Historical Artists and their paintings, sculptures. What are the English topics which are going to be asked for NPAT? Hi Monika, the syllabus for English which you are looking for consist of topics such as Poems, Synonyms & Antonyms, Dictionary meaning of different words and some others are there which you can have a look at the Syllabus of NPAT. What are the reasoning important topics for NPAT? Hi Ravi, reasoning topics from which questions might be asked are Coding and Decoding, Strong arguments & Weak arguments, Family tree(Blood Relation) and some others which details are there in the Syllabus of NPAT. Is the NPAT syllabus based on the 10+2 syllabus? Yes, the NPAT syllabus is based on the 10+2 syllabus. May I know the important concepts that one has to go through if taken NPAT 2017? What is the Reasoning & General Intelligence NPAT 2017 Syllabus? What are the Mathematics portions for NPAT 2017? What is the syllabus for Language skills for NPAT 2017? What is the prescribed syllabus for the NPAT exam? You can refer to the official website for the prescribed syllabus for the NPAT 2017 exam.